The Eternal Leader of SHINee, Lee Jin Ki a.k.a Onew! Lee Jin Ki, famously known by his stage name ‘Onew‘, is the leader of SHINee who debuted in May 2008. Onew began his career in singing when he auditioned and eventually signed with SM Entertainment back in 2006. As someone who got personally recruited by the founder of SM Entertainment, Lee Soo-man, he showed his potential after debuting in other entertainment fields including being an actor, lyricist, model, and even an MC! But, as we may have noticed already, the life of a K-pop idol can be hard and difficult. There are so many idols who manage to finally make their big debut and become successful, yet their popularity won’t always remain forever once the rumors begin. In 2015, Onew started his acting career in the Internet series named Dating Was the Easiest. Later, in 2016, he was chosen as a cast member for the popular drama Descendants of the Sun, which earned 2 billion views from iQiyi. But, shortly before the release of his next project in 2017, Age of Youth 2, Onew was accused of sexual harassment in a club and decided to leave the project after discussions with the production staff of the show. But, what happened since then? Also, how was Onew’s life before the controversy occurred? Read the article below, and you will find out everything about Onew that you need to know! Facts: As you can see, his username is so difficult to remember, but fans later laughed about it when they found out its meaning. He created his Twitter account with the username ‘skehehdanfdldi’, which means ‘I am an animal too’ (나도동물이야). His quirkiness also showed when he created his Instagram account. Again, the very complicated username ‘dlstmxkakwldrl’ was decoded to mean ‘Insta old man’ on the Korean keyboard. ‘Old man’ (망징기 is a nickname given to the oldest member of a group. Leader Onew: He is the leader of SHINee. Ondubu: Dubu is a type of tofu, and the name was given to him because he is known for his bright and cheery smile. “He’s so unsteady. If you touch him, he explodes”. To put it simply, he’s gentle, clumsy, and fragile like silk tofu. Ontokki: Tokki means bunny and is a name given to him because he has two front ‘bunny teeth’. Onew Sangtae: This is a condition that the members made up to describe how he continuously embarrasses himself. There is a song for ‘Onew Sangtae’ which goes, “Whatever he does, it’s Onew Sangtae~”. Yeokshi Onew: This means “Onew as expected”. Whenever accounts of Onew doing things that made his fans proud surfaced on the Internet, fans wrote in response, “Onew as expected!”. This became a bit of a norm, and fans started calling him like that. CheongGeul, 청글 a.k.a innocent glamour: This expression is commonly used to describe innocent-faced ladies with a voluptuous figure. It’s considered an ideal in Korea (though it is now replaced by BAGEL, shortened word for Baby-face and voluptuous body). Fans started calling him CheonGeul despite it being a gender-specific expression. It was only after Onew that people started using this expression for guys. ChumShinChumWang, 춤신춤왕 a.k.a Dance God Dance King: Onew never makes mistakes while dancing. If you do find him doing a different dance from the rest of the members, that is because he’s doing a solo, and it’s never a mistake. YoungGam: It means old man. This is what Key sometimes calls Onew. Some Shawols referred to him with this nickname but no longer use this one after seeing his UFO response. He said he’s not an old man after fans repeatedly calling him YoungGam. Fans were getting a bit too obnoxious in using this nickname so only Key is allowed! HeolLaeng Onew, 헐랭온유 a.k.a The Clumsy Onew. 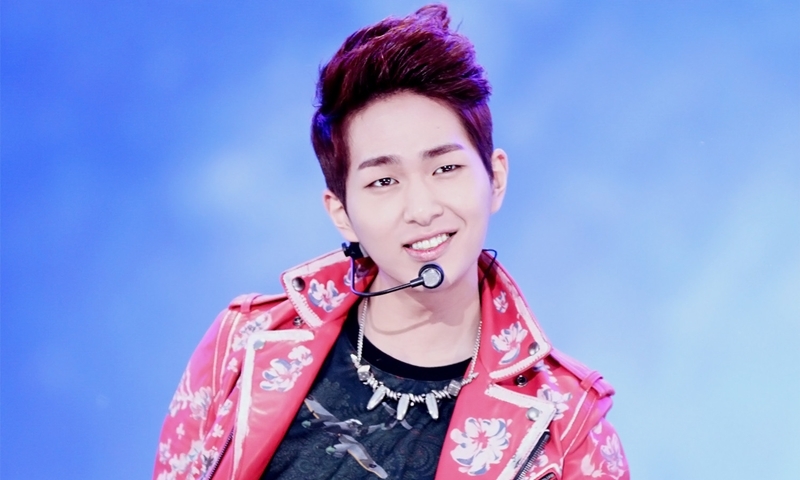 His other nicknames including Onewhan, Ondrew, Jinggiseukan (징기스칸 / Jinki + Genghis Khan), and Eunsook. Here is the most complete list of facts about Onew during his pre-debut days until he succeeded in his career! You may also find some trivia about his favorites and dislikes! He was born into a middle-class family that owned a meat shop. Onew would write letters to his parents since they always came home late from work, and he never got to see them. His mother runs a restaurant. His mother made 15,000 paper cranes for her son. His parents supported him with his career choice. Onew admires his parents very much. None of his grandparents are still living, and he only ever met his maternal grandmother. Onew bought his father his first car and is going to buy his parents a house. He was a good student and is good at studying. His childhood dream was to become a scientist, architect, or a Lego model designer. During elementary school, he was a lively kid that would run around on the playground on days off. Onew would bring food from his parents’ shop to share with his classmates. One of his earliest memories is falling down on the stairs. He was constantly bullied by a neighboring boy when he was very young. When Onew was younger, he went to CD game shops just to play games for free. He once won a giant stuffed bunny in a claw game. Onew couldn’t sleep for many nights because he wanted a BB gun, and he didn’t know where to buy one from. Instead of playing with friends, Onew would help his parents out at work. Once, in middle school, he ate 3 servings of ramen each day for two months. While he was in high school and the academy, he would also do part-time jobs. After school, he would go straight to SM academy to train. After training, he would go home and jump rope to lose weight. He would skip 4000 times in order to lose weight. Also, to lose weight, Onew walked to school for an hour every day. Onew used to have really long hair and tied his hair up with a filigree, the golden strip thing used to package bread. Onew used to take care of chicks. He would pretend to feed them without letting them eat the food. He graduated from Gwangmyeong Information Industry High School and got 2nd in his class. During training, he was the first to give Taemin vocal lessons. Taemin and Onew would always practice together on the rooftop during trainee days. He taught himself how to play the piano. All of the SHINee members have experienced Onew’s infamous ttakbam once during their trainee days. Minho stated that they never want to feel it again. He was very shy when presenting himself to people, and because of it, he did not dare to participate in auditions. Lee Soo-man personally cast Onew while the casting staff rejected. Onew didn’t plan to be a singer at first, but when people said that he has a nice voice, he decided to enlist for SM Academy. When Onew enrolled in SM Academy, it cost him about 50 million won. He makes the most mistakes during practice. He uses glasses whenever they’re at a rehearsal. When performing for the 1st time, Onew couldn’t see anything in front of him and even forgot the lyrics before going up on stage. He usually cries in the car secretly after getting injured. Onew cracked his teeth in an accident. He had surgery for his teeth because his 2 front teeth got chipped off when he fell after climbing up the stairs to his dorm. He is the infamous NG King. He can do a Donald Duck impression. He thinks that the member that is ‘near perfection’ is… HIM. He’s very popular with his sunbaes and is very respectful towards them. He says if he became a girl, he’d date Key because Key is unique, strong and fascinating, and exactly his cup of tea. Onew is used to throwing Taemin in the bed. Onew once froze in a fan meeting and told the fan that he forgot how to sign, but then, he remembered how and gave his signature. Onew usually doesn’t look at comments, articles, and bulletin boards regarding SHINee on the Internet. Taemin once did a Donald Duck impersonation but got chased out of the kitchen by Jonghyun and Onew because they said that it was not the same. Onew once got mad because SHINee lost to MakBanShi (Maknae Rebellion). Onew thinks that Key is a bad person because he doesn’t like to eat chicken. If he could be a female celebrity, Onew said he would want to be 2NE1’s Dara. Onew felt like a bad boy when they were filming Lucifer. Onew was originally the one who was supposed to do the “SHINee’s back” whisper, but he claimed his voice wasn’t suitable enough or it. Once DBSK and SuJu made a prank on Onew by pretending to fight with each other. Onew stopped them while crying. According to SHINee, Onew always gets a hotel room by himself while the others share rooms. Onew’s ideal type is someone who has character, a good personality, is responsible, knows how to cook, and looks good. Onew is close with Leeteuk from Super Junior. Onew kissed his male co-star in the Brothers Were Brave musical. He always carries personal medicines for himself and for all SHINee members because they often do not feel good when they are on planes. Gyeongshik (the manager of SHINee) always cares about Onew because he is very clumsy. Nichkhun is close to Minho and Onew of SHINee. They talk a lot on the phone. Onew is very good friends with MBLAQ’s Joon. Onew once used his ‘spicy fingers’ to hit Simon D’s forehead, and he cried. At Simon-D’s New Year’s party, Onew peeled 100 tangerines, and then, he had 80 and gave his friends the other 20. Onew confessed, “I bought my father a car with the money I first made”. Onew admits that he has bad stamina. Onew thinks his fingers are short and thick like a beef steak. When Onew first saw a ghost (that looked a lot like Minho), he couldn’t stop shivering for 5 minutes. He thinks he is only better looking than a dog. Whenever Onew sees someone really skinny, he gets anxious and wants to feed them. Onew’s first kiss was with a sheep. Onew brings a Rubik’s Cube with him and does it when he’s bored. Onew has two MP3s in his bag because he’s scared that the other one will run out of battery. If Onew had to choose a member to take to an island, it would be Minho because he is athletic and could get food easily. Once, Onew fell asleep on the sofa after staring at his phone for a long time. When Minho went and peeked at his phone, it turned out that Onew had been staring at a picture of fried dumplings. During photo shoots, Onew would always turn back and then forward again. Onew’s idol is BoA. Seeing her strong stage presence makes him want to practice more. Out of all the SHINee members, Onew trained the longest. 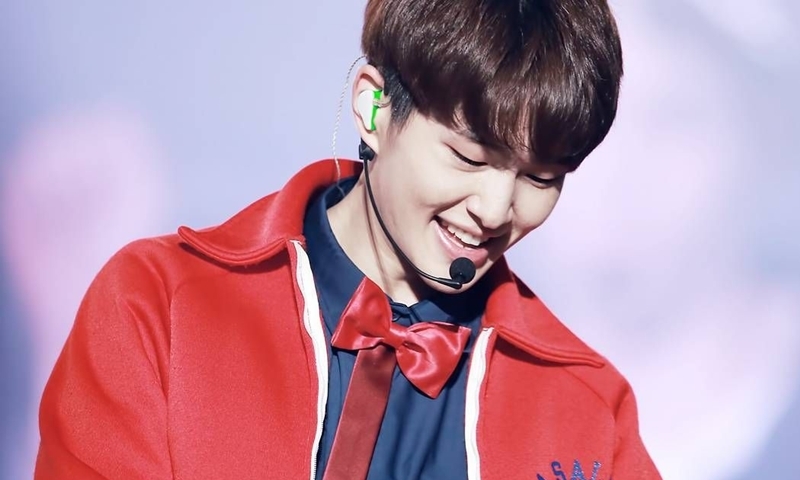 Onew underwent a vocal cord polyp removal and vocal fold mucosa reconstruction operation in June 2014, which made him unable to sing for a few months. In order to support Onew in the musical Rock of Ages in 2010, his fans donated 1.44 tons of rice, a common practice for fans in South Korea, with the expectation that the idol will then donate to a charity of their choice. Onew donated it to help feed North Korean children, which was prepared for by the Child Development Program. Onew also donated 770 kg of rice to children in need in South Korea in May 2010, and in 2016, Onew donated roughly 1.2 million won to the Korean Heart Association. He joined radio broadcasts quite often as a special DJ and fixed guest. Onew tried his hands at songwriting and together with his bandmate Minho wrote the lyrics for the song “Your Name” from SHINee’s second studio album Lucifer. 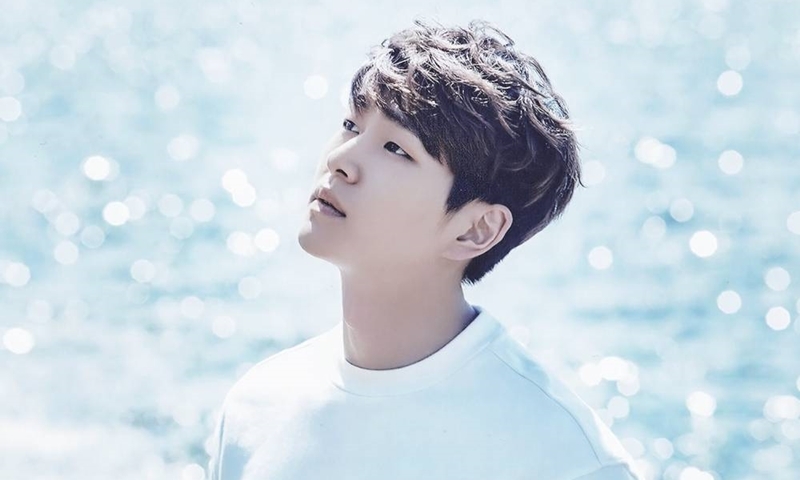 Onew also wrote the song “So Amazing” for his group’s fifth Korean studio album 1 of 1. He is a very responsible person. He can be quite blurry at times. He zones out incredibly often. He eats healthy and sleeps a lot to take care of his skin. And, he used to wake up early to make Taemin breakfast before school. Onew wants to be August from the movie August Rush. Onew believes that even if it is expensive, the item that is always worth the money is food. Onew’s habits are lip syncing to songs he’s listening to and covering his head when sleeping because he can’t sleep with the lights on. Onew sleeps with the blanket covering him from head to toe. And, because of that, he wakes up covered in sweat. He is the most difficult person to wake up in the morning. His cooking specialty is scrambled eggs. Onew can crack a walnut with one finger (Onew ttakbam). Onew collects his air tickets from his overseas trips. Someday, he wants to build a house surrounded by nature. He knows how to knit. Onew feels like he has a sixth sense to predict when it will rain. Onew prefers strawberry milk over chocolate milk. Opera makes Onew cry when he listens to it. Onew’s life goal is to have a happy marriage. Onew is a livelier person off camera. Onew would like to study psychology. He doesn’t like being interrupted when reading. Onew can forgive a woman up to 3 times. Onew thinks that a true man shouldn’t lie. Onew is scared of holding babies/animals since he dropped a puppy when he was a kid. Onew expressed his interest in reading on world cultures so he could learn about different beliefs and ways of thinking from other parts of the world. Onew would like to work on a farm to see how long he would last working there. Onew finds spaghetti more interesting than Key. Onew usually smiles a lot, so Taemin said that he looks strange when he is serious. Onew once followed what a dog did, and then he realized that he is a human. Onew wants to learn to draw well. He confessed that he would like to do a duet with ALi. Recommendation from Onew: When you feel that your heart is about to fall, hold it so it won’t. When Onew has a girlfriend, he would like to run on the beach and play Catch Me with her. Also, he would sing and play the piano for her. If Onew had a girlfriend of a different race, he would learn the language for her. And, even if he is not very fluent in it, he would tell her how much he loves her in that language. Then, he would take her to Korea because there are very nice places there. Onew’s dream is to have a very sudden kiss in front of a crowd in a theme park or to confess to a girl in front of a crowd. His favorite colors are red and yellow. He loves Trot music (Korean folk genre). He loves to eat chicken. When asked what his hobby is, he usually answers ‘sleep’. He likes monotone colors such as white and black. Onew likes to play billiards. He’s allergic to melons, watermelons, cucumbers and anything similar. Onew likes extreme stuff like mountain climbing and parasailing. Onew does not like it when other people call him by his real name. Onew likes girls with long fingers. Onew likes to read books of different genres. Get Inspired From Krystal Jung’s Fashion Style! Get to Know More About Red Velvet’s Wendy’s Real Height!